Since Paulo Vitor came into world in 1988, to be more precise November 21st, the goalkeeper is five years older than Rio Ave FC's average player. Until now, Paulo Vitor has been present in four games. With a height of 1.9m, he exceeds Rio Ave FC's mean tallness by 8. He is currently fourth in group Gr. A of League Cup (Portugal) and ninth in Primeira Liga (Portugal) with his team Rio Ave FC. Paulo Vitor is a male goalkeeper from Brazil, who has been playing for Rio Ave FC in Portugal since August 29, 2018. To date, collectively he holds eight penalties. Lately, he seems to be more quiet since less penalties were given to him than usually. 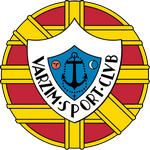 He was contracted to a few clubs during his professional career, one of them being Varzim SC, for whom he played before coming to Portugal. 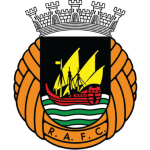 Rio Ave FC has two more goalkeepers in their squad, namely Leo Jardim and Carlos Alves. It's been 182 days since Paulo Vitor played his latest match. At 185.19lb, he carries 20lb more than the average Rio Ave FC player. His jersey displays the number 29. So far this season, Paulo Vitor lost 67% in League Cup and lost 50% of Rio Ave FC's matches in Primeira Liga. Unfortunately they did not manage to wrap up a single fixture, but at least tied once. 9 months was the maximum period he ever played in a team, which is his latest one. His shortest spell with a club was seven months in Varzim SC (Portugal). Paulo Vitor's best season was Segunda Liga 17/18 (Portugal), because in this year he had his highest success in terms of match presence.